1942, U.S. 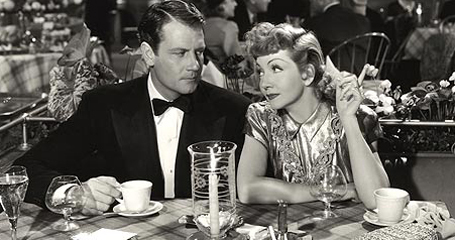 In Sturges’ most complicated take on what he nicknamed “Topic A” (the Production Code-taboo subject of sexual relations), romantic leads Joel McCrea and Claudette Colbert are sort of married at the start, and sort of married at the end. In between? Mistaken identities and comic misadventures fly by at a frantically funny pace as cunning Colbert leaves impoverished-inventor husband McCrea for greener financial pastures and meets an eccentric billionaire (Vallee), his man-crazy sister Mary Astor and her Latin lover Toto, who speaks a peculiar Sturges gibberish. For Sturges, that most American of cynics, who was himself raised with money, the American Dream inspired the film’s screwy madness, and it is, indeed, inspired madness. (Adapted from Pacific Film Archive notes).